Hello, this is Jim Rockford. At the tone, leave your name and message. I'll get back to you. After the beep, the message would begin. Each episode of the show's 122 episode run featured a different answering machine message that gave viewers some insight into the character of Jim Rockford, played by James Garner. A Korean War veteran and former con – wrongfully accused and later fully pardoned, of course – the Los Angeles-based Rockford tried to make ends meet by working as a private eye. A business full of colorful cases and even more colorful characters, the messages on his machine were almost always from people who owed money to Rockford, people whom Rockford owed money, or to women Rockford owed an explanation. It was a great hook, but as the series went on, the answering machine gimmick became a burden for the the show's writers, who struggled to write a different, entertaining message for every episode (a full list of the gags can be found here). Many of these Rockford writers would go on to very big things, including The Empire Strikes Back screenwriter Leigh Brackett, The Sopranos creator David Chase, and NCIS showrunner Chas. Floyd Johnson. 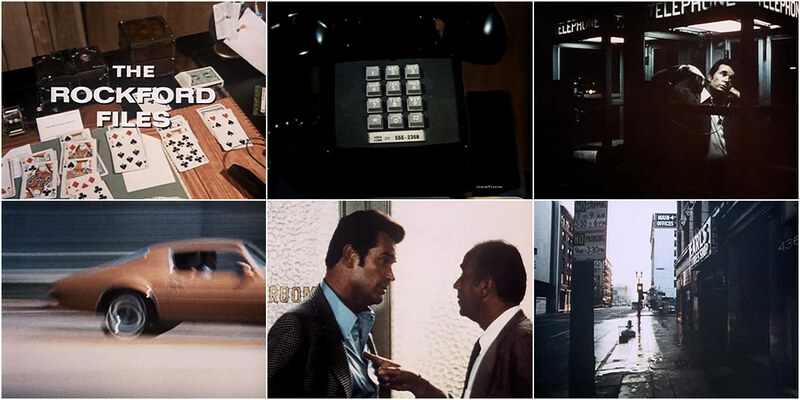 When the message of the week ended, Mike Post and Pete Carpenter's iconic Rockford Files theme music kicked in and a montage of photographs started. Shot with a long lens, much like the type Rockford would use from time to time, the photos documented the rough and tumble life of the charming gumshoe. Edited together in the sequence that they were shot – a knowing look here, a winning smile there – the photographs took on a slightly animated quality. "Hey Rockford, very funny. I ain't laughing. You're gonna get yours." The title sequence also showed off Rockford's gorgeous gold Pontiac Firebird Esprit – his pride and joy – and another hallmark of the series: the P.I. 's beat-up trailer home, unglamourously situated in a parking lot by the beach. Clearly, business was not always booming. Post and Carpenter released "The Rockford Files" theme as a single in 1975. It went to #10 on the Billboard Hot 100, remaining on the chart for 44 weeks, and won a Grammy Award for Best Instrumental Arrangement. Save for the different messages at the beginning of each show, the title sequence for The Rockford Files remained unchanged for its entire run. 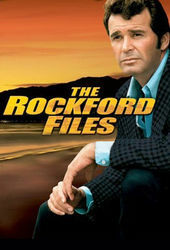 Episodes syndicated as James Rockford, Private Investigator used the message from episode 507, "A Three-Day Affair with a Thirty-Day Escrow," as the standard opening.